The director was looking to implement an International Noodle Bowl Concept utilizing induction cooking served from an independent mobile food station. The director was looking to implement an International Noodle Bowl Concept utilizing induction cooking served from an independent mobile food station. 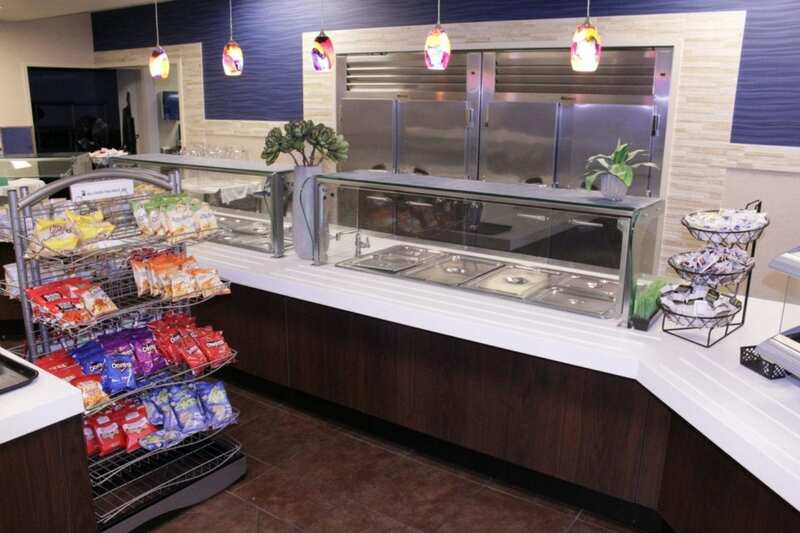 The vision was to offer students a live action station that allowed them to customize their meals and offer speed of service for a unique one of a kind experience. 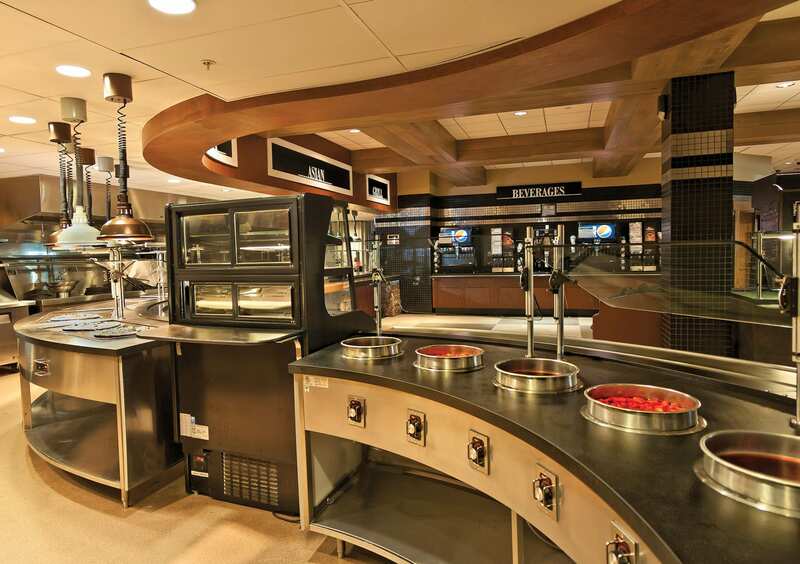 The school wanted to be able to utilize their serving area with an induction cooking concept but didn’t want to have to install a hood system due to space restraints and expense. He was looking for a mobile induction “turnkey” solution that could handle his existing menu with the key objective of being able to roll the concept into place quickly and easily without disrupting current service. Multiteria was able to provide an Action Creation Station unit with 2 induction burners for his International Noodle Bowl Concept. 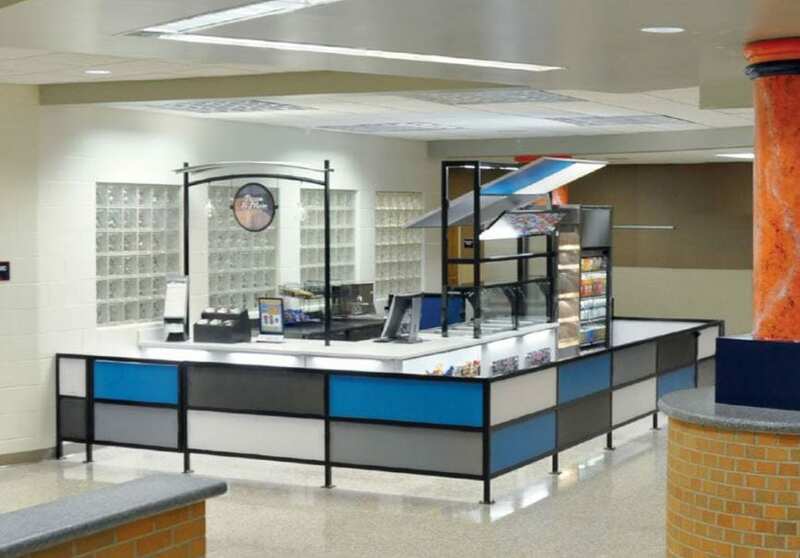 An added advantage was the service to self service food shield on the unit providing self serve or pass thru access designed with front panel vinyl graphics that captured the attention of the students. Incorporating the new meal patterns mandates was successfully achieved by incorporating ½ cup fruit and ½ cup vegetables and being able to get students excitement by customizing their own meal. ‘WOW!’ That is the most common phrase heard when students, staff and even Child Nutrition employees see our creation station in operation. Complete with merchandising, our International Noodle Bowl concept was a huge success due in part to the wonderful service we received from Nancy Lane and the folks at Multiteria. Nancy helped us take our vision and turn it into a reality. When we coupled Nancy’s industry knowledge with Multiteria’s quality products, we knew we had the perfect partners for our project. The turn-key solution and follow-up meetings were invaluable. At no point did I feel I was alone with this project. 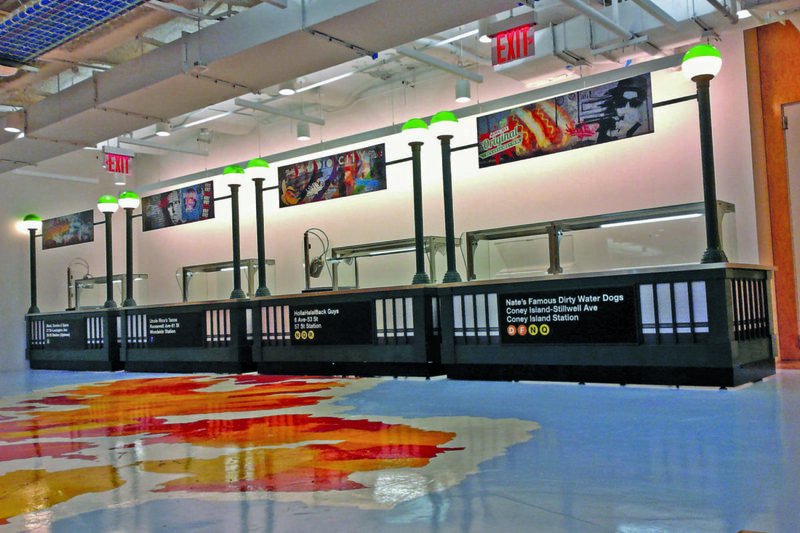 Nancy and the team provided specific, insightful communication throughout the whole process. Delivery to setup only took a couple of hours, and I could not be happier with the process or the solution. The concept was so successful we decided to implement it into 3 of our other operations. Students, staff and child nutrition workers are now viewing our operation in a positive, new way. Providing an entrée exactly how our customer wants it has increased our sales and lets our customers know we want them to be happy. In the end, the ‘WOW’ we receive from our customers is affirmation that we hit our mark.